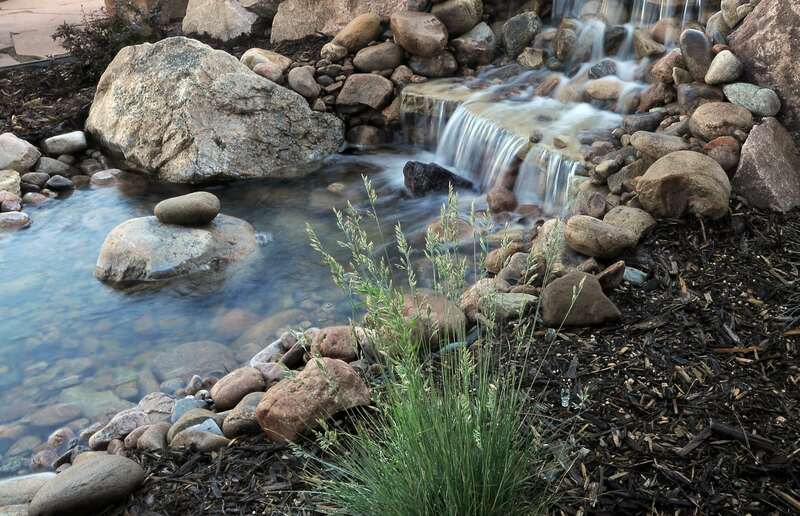 To add mesmerizing beauty, light, and sound, and to attract birds and wildlife, add a water garden, stream, pond or other water feature to your landscaping design plans. 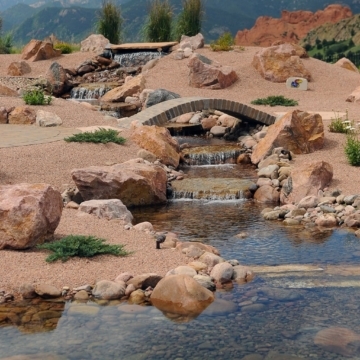 Water features turn your Colorado Springs landscape into a beautiful and relaxing oasis for you, your family, and your guests to enjoy! 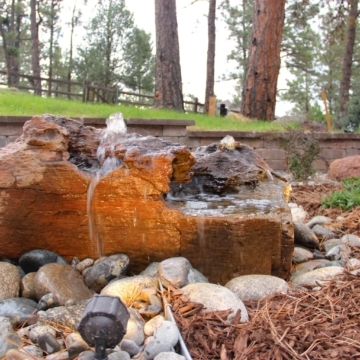 Jake’s Designs has been designing and installing water features for more than 18 years! 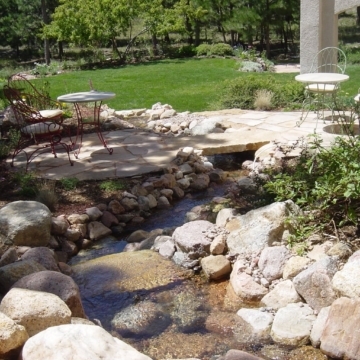 We understand the local terrain, the challenging weather, and the potential of homes in the Colorado Springs area. 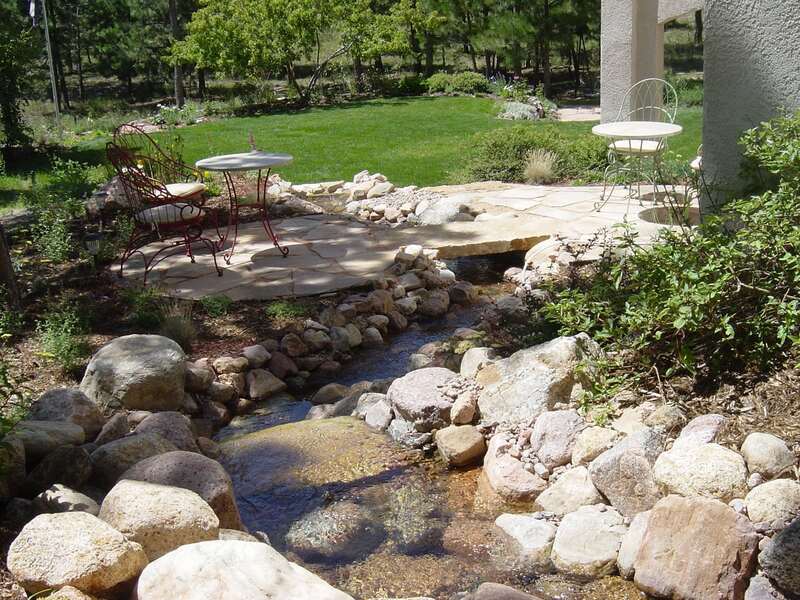 Our team has experts in both landscape design and construction so we can deliver amazing results for homeowners. 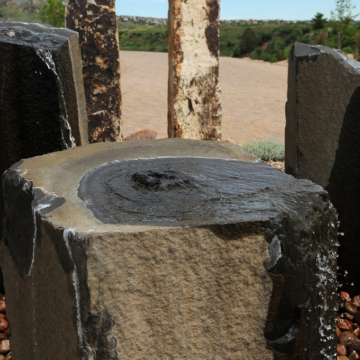 Explore our water features portfolio for inspiration! 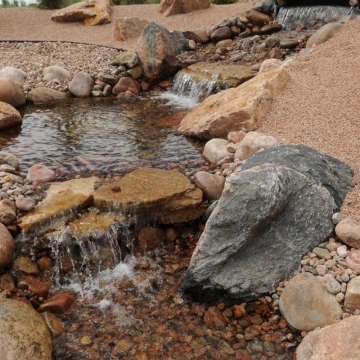 As you imagine the possibilities of your landscape, consider the options that water features offer! 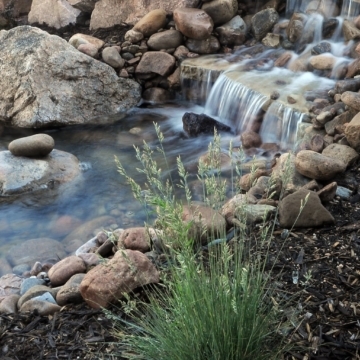 The therapeutic and relaxing sounds of a mountain spring, babbling brook, or flowing waterfall help create a luxurious outdoor environment that you won’t want to leave. 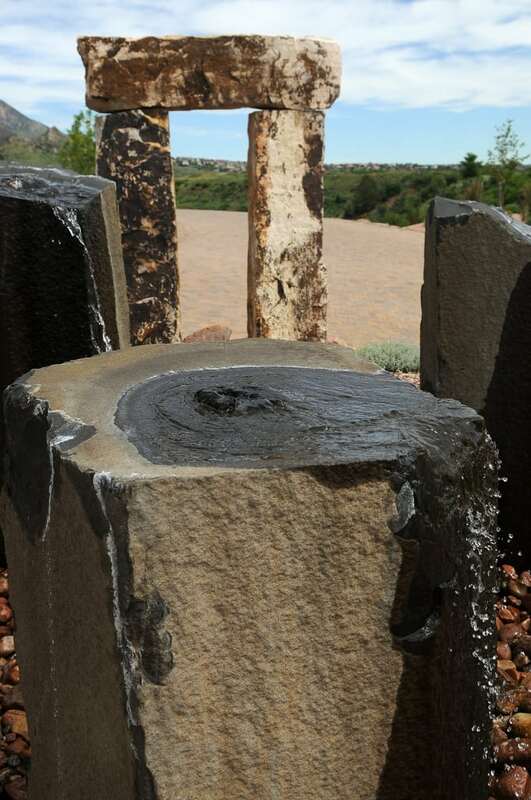 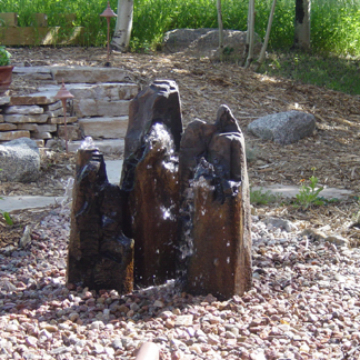 Jake’s Designs works within every budget and style to find the right water feature for your Colorado Springs home. 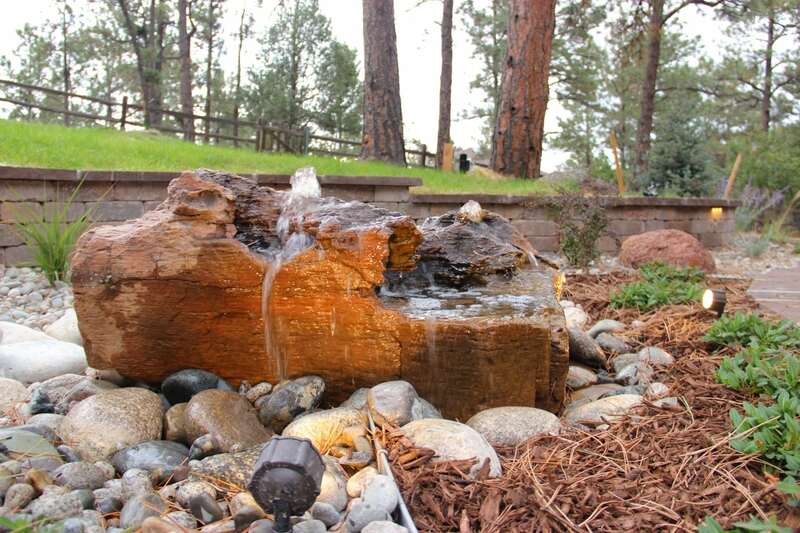 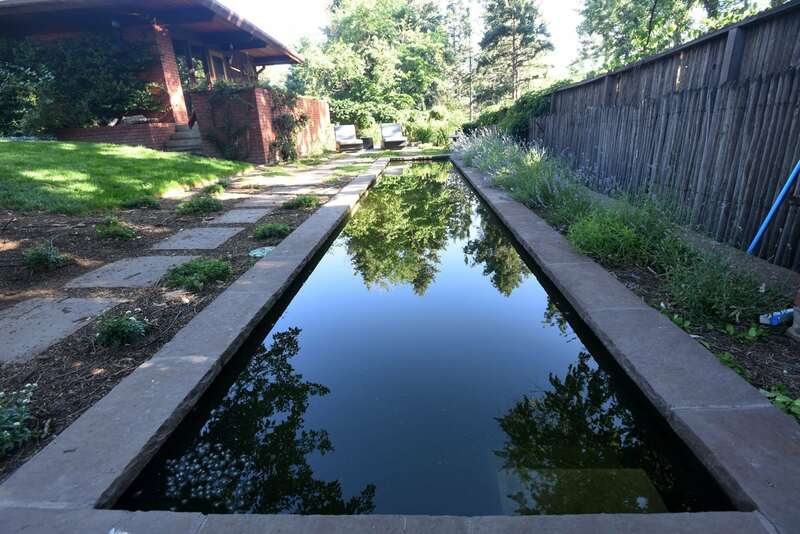 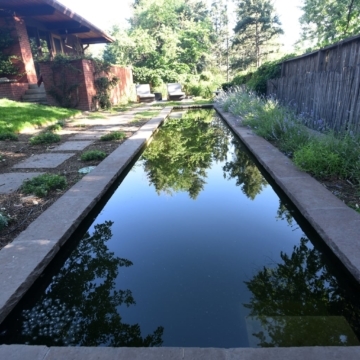 Our design team can create custom water features or fabricate elements that can be used together, or alone, to create a relaxing experience that is unique to your garden. 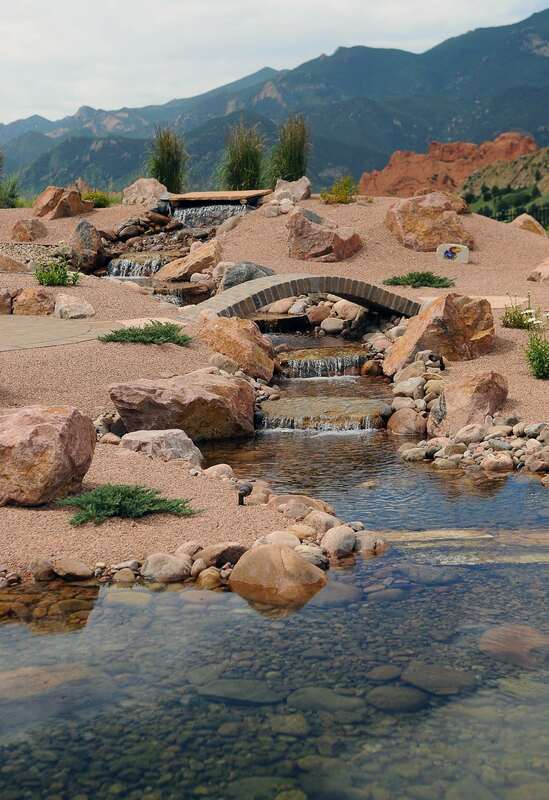 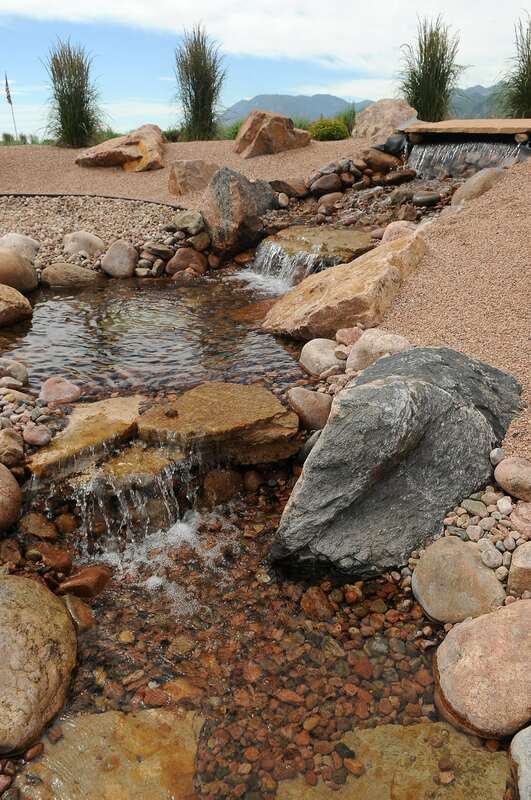 Create the water feature of your dreams with one of Colorado Springs favorite landscaping companies! 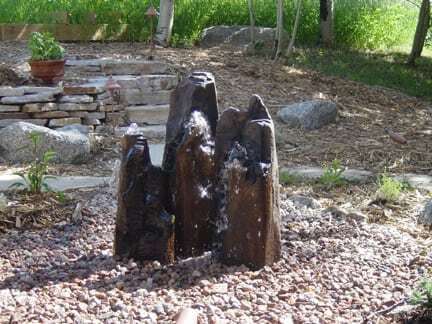 We are here to help bring your landscaping ideas to life, whether you’re in Colorado Springs, Broadmoor area, Chipita Park, Cheyenne Mountain, Black Forest, Flying Horse, Monument, Rockrimmon, or other surrounding areas in Colorado Springs.